Share information quickly , easily and safely. 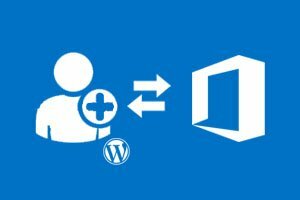 Office 365 AAD User Authentication plugin is used to Authenticate an Azure Active Directory(AAD) user against a WordPress website, which results in the user being logged into the WordPress website. 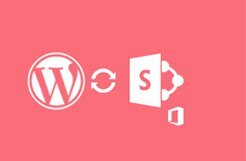 Azure AD user is able to log into a WordPress website as user role WordPress user. Set Redirects after login, based on a default or based on a specific user role. 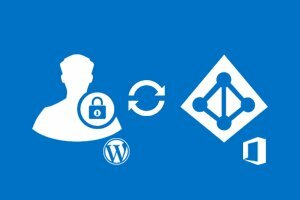 Membership in certain groups in Azure AD can be mapped to roles in WordPress, and group membership can be used to restrict access. Protect your complete site. Have users authenticate themselves before they could access your site content. SAML Single Logout – Support for SAML Single Logout (Works only if your IDP supports SLO). Auto-redirect to IDP – Auto-redirect to your IDP for authentication without showing them your WordPress site’s login page. Protect Site – Protect your complete site. Have users authenticate themselves before they could access your site content. Advanced Attribute Mapping – Use this feature to map your IDP attributes to your WordPress site attributes like Username, Email, First Name, Last Name, Group/Role, Display Name. Advanced Role Mapping – Use this feature to assign WordPress roles your users based on the group/role sent by your IDP. Short Code – Use Short Code (PHP or HTML) to place the login link wherever you want on the site. Reverse-proxy Support – Support for sites behind a reverse-proxy. Select Binding Type – Select HTTP-Post or HTTP-Redirect binding type to use for sending SAML Requests. Step-by-step Guides – Use step-by-step guide to configure your Identity Provider like ADFS.